Australia’s capital Canberra has a ban on poker machines but Chief Minister Andrew Barr recently confirmed that he is willing to revisit gambling laws and make the necessary changes that would allow poker machines to be installed at the popular Canberra Casino. Aquis Entertainment, a mutli-billion dollar firm that is based in Hong Kong are the new owners of the Canberra casino and the firm has proposed to make a $330 million investment into re-developing the Canberra resort and turning it into a major tourist destination in Canberra. 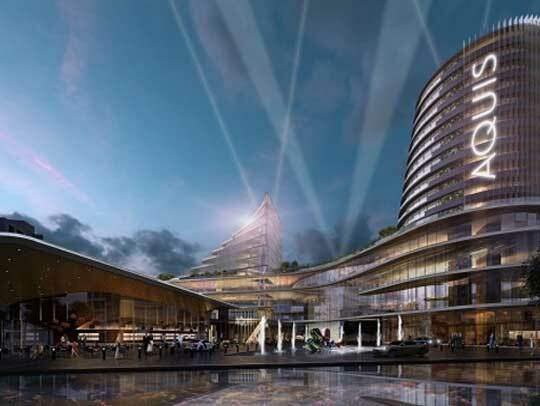 The new owners have plans to completely change the image of the Canberra casino by turning it into a modern resort and entertainment center, with a bigger gaming area and setting up better dining and shopping facilities. The Hong Kong based firm will also adopt a marketing strategy targeting VIP gamblers from Mainland China who are known for spending large sums of money at the casinos. Aquis Entertainment estimates that the revamped casino could bring in as many as 750,000 new visitors to Canberra which would result in a significant amount of revenue for Canberra. The casino is expected to generate close to $60 million in additional tax revenue along with the creation of 400 jobs during the revamp process. Since the casino will create a lot of revenue for Canberra, Aquis Entertainment has indicated that it would be nice for the government to make a change to its gambling policies and allow them to install poker machines at the casino. It’s a significant issue that will need to be worked through. That’s why I’m not making an announcement one way or another today. Canberra is growing up; our city is changing and our economy is much bigger. There’s no change in government policy at this point but nor am I signalling a blanket ‘no, we won’t even consider what has been put forward. The process of amending existing gambling laws and then implementing new ones in Canberra will definitely take a lot of time. Aquis which took over the Canberra casino in December 2014, expects the Canberra casino project upgrade to be completed by 2017 and has plans to open the casino in early 2018.